Does fall having you craving all things pumpkin? 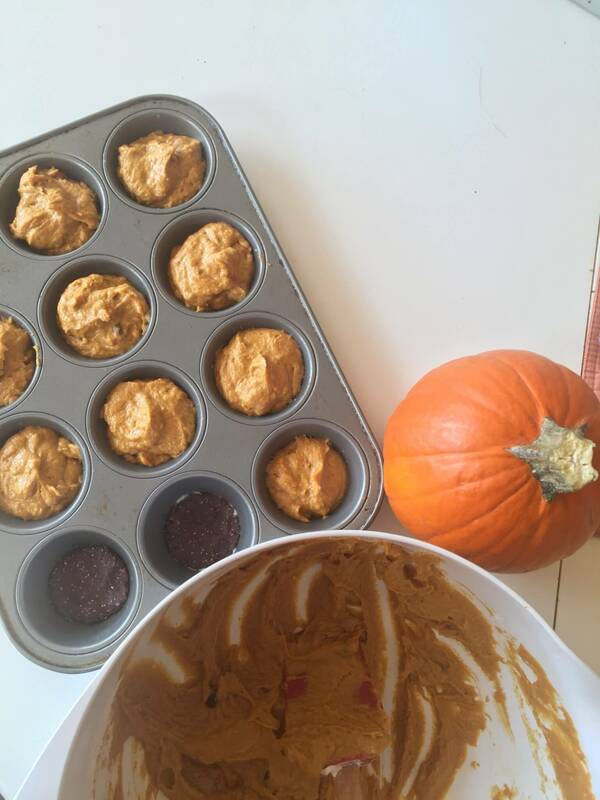 Well, we have you covered with this incredibly easy and delicious recipe for allergy friendly pumpkin muffins (that’s right, they are free of gluten, peanuts, tree nuts, soy, and dairy)! 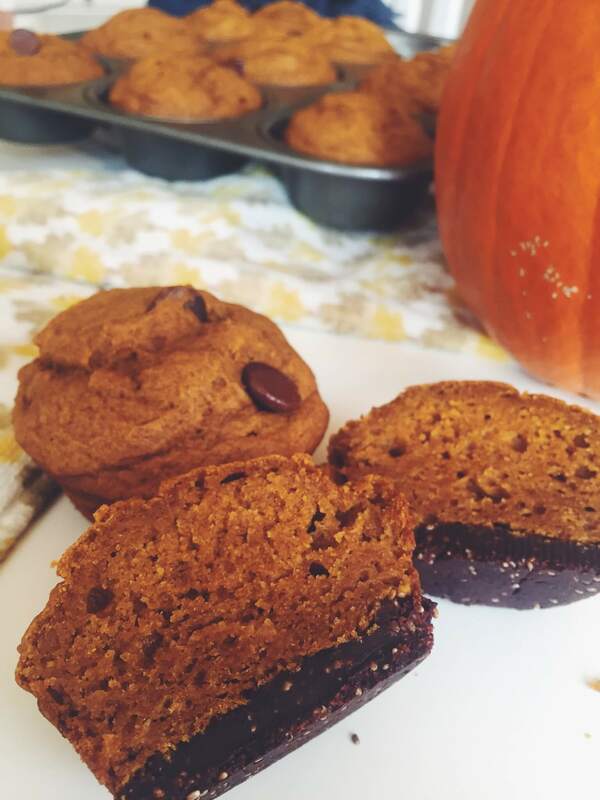 We made these the other day, and the office filled with the aroma of pumpkin spice, it was just perfect for fall. These muffins disappeared quickly, so be prepared to make a second batch 😉 But don’t worry too much, because not only do they taste delectable, they also have some surprising health benefits hidden inside! First, the pumpkin provides beta-carotene, which helps your eyes and skin stay healthy. 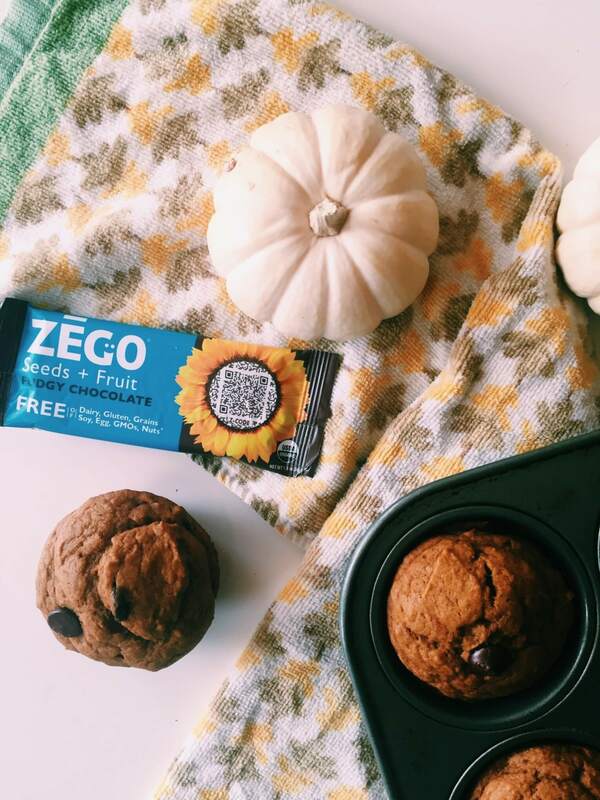 Second, the ZEGO Bar crust adds extra protein and fiber helping you stay full longer. And of course, we never use any artificial sweeteners, flavorings, or colors that you find in most of the pumpkin spice things you can buy right now. Or Press the bars out until thin, and place on the bottom of the greased muffin pan for a chocolate muffin crust (like we did below).